Firm in the hand, reliable in function, individual in design FLECK dressage whips assist professional riders and occasional riders around the world to achieve their objectives. 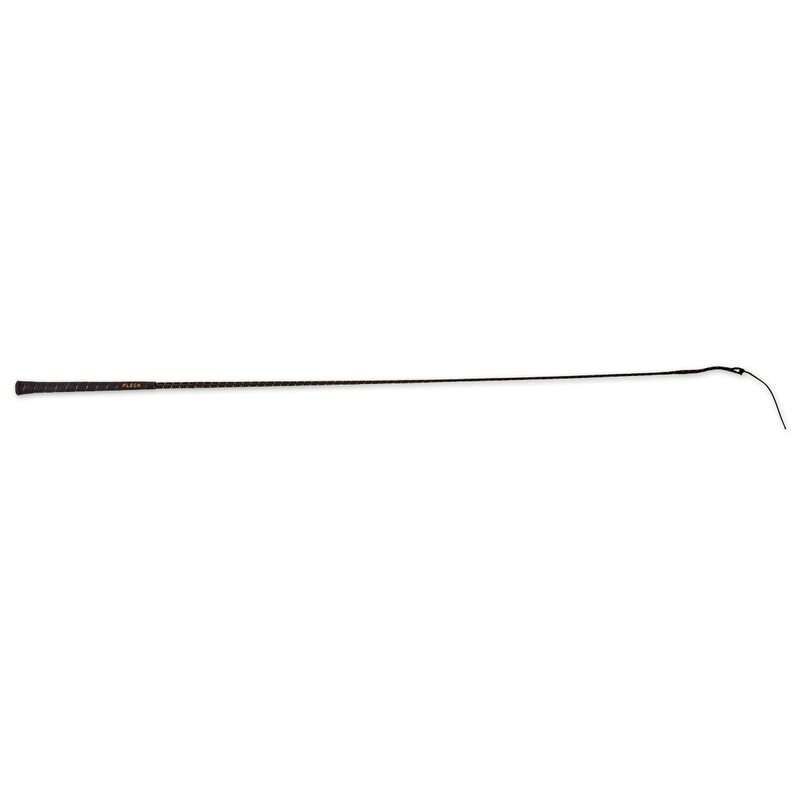 The lightweight design of this whip combined with a soft rubber grip makes this whip easy to use while having the maximum effect on the horse. Recommended by Olympic Champion Martin Schaudt. 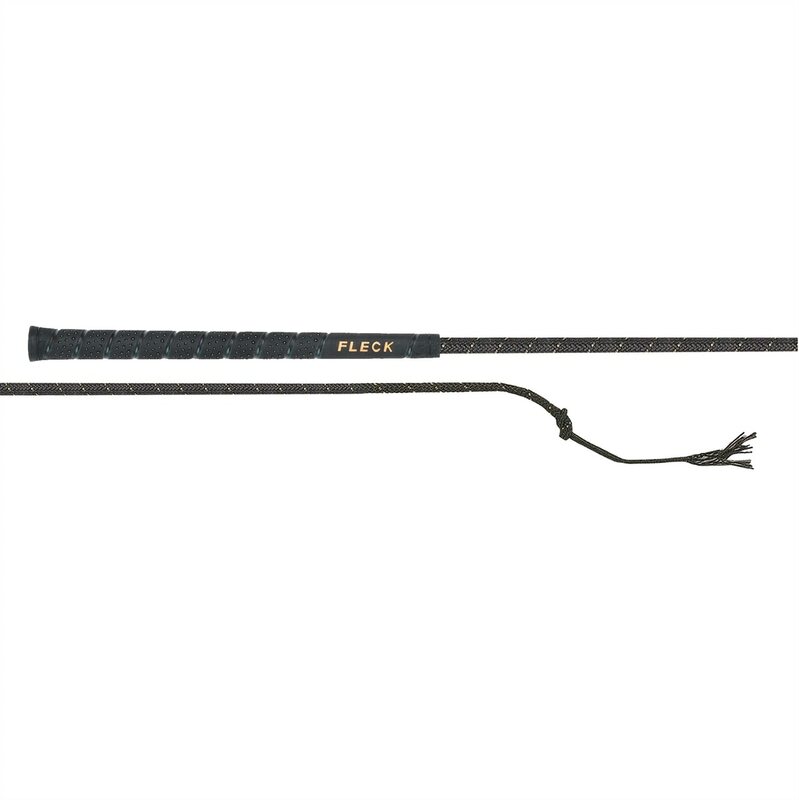 Fleck SuperFlex Dressage Whip is rated 4.6 out of 5 by 34. Rated 5 out of 5 by Sandy from Excellent whip. The grip is comfortable and the flex is perfect. I am very happy with the whip. Rated 5 out of 5 by Beatrice from Great whip!! Love this whip! It has the perfect amount of flexibility and length. The handle doesn't slip out of my hand and its nice and light weight. Rated 2 out of 5 by Angel from Length is a lie The length of the whip is counted with a flexible string on the end which you practically cannot use on a horse. Disappointed. Rated 5 out of 5 by Singrider from Great drssage whip This whip is flexible, long enough for training and east to hold . It's great for those moments where you need a little extra tap to get the hind quarters underneath your horse. Rated 5 out of 5 by pony mom from light and flexible I'm kind of a klutz when it comes to using a whip and this whip addressed several of my problems. As an older rider, my wrists aren't as flexible as they should be but I was able to use this whip to better, more precise effect and carry it more easily. Rated 4 out of 5 by Pats1 from I like the whip, but the first time I used it the "tail" came off. Fortunately, I found it in the arena; it's now supet- glued. Not thrilled that I had to do that with a $50 "splurge". Rated 4 out of 5 by Rynosmom from Nice dressage whip! I bought this whip to replace exact same whip which broke at the tip. I love the choice of shorter length and its flexible shaft( sensitive mare!) and comfortable tapered handle. I refrained from giving it a 5 star rating as my other one broke--- hopefully this one will last longer. Rated 4 out of 5 by Annie from Excellent whip, but worth the price? I really do like the balance of this whip, and the flexion. I prefer a slightly more rigid whip over a flex-y one, but this one is a great happy-medium between stiff and floppy. The grip is also great, but I wish it had a knob or something similar on the end for a little more whip-dropping insurance. I was also disappointed to see that it was not solid black when it arrived: it serves me just fine for eventing, but it's not show ready for dressage competitions. All in all, I don't think I'd pay this much for another whip in the foreseeable future.